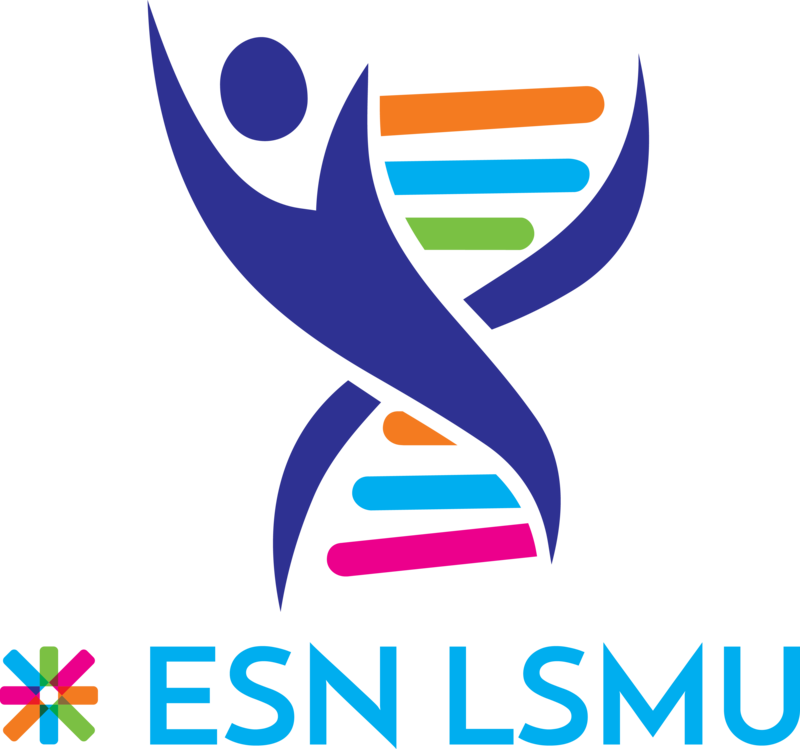 The Erasmus Student Network (ESN) is one of the biggest interdisciplinary student associations in Europe, founded in 1989 to support and develop student exchanges, especially within the framework of the Erasmus programme. The Annual General Meeting (AGM) is the biggest and the most important event of the year in the ESN. Delegates from each section in Europe, ESN country's National Representatives and National Delegates come and vote for the matters of ESN International. On 20-23 April 2017, the AGM was being held in Berlin, Germany, and I, Simona Adomavičiūtė (Vice-President of ESN LSMU 2016/2017) was representing the ESN LSMU section as a section delegate. Together with majority of the ESN Lithuanian delegation we landed on Thursday afternoon in Berlin and in a couple of hours after the hotel check-in we were welcomed in the opening ceremony of AGM 2017. We had a word of the ESN AISLB President Safi Sabuni, some guests from Brussels, the Head of the Organizing Committee and many more. After an hour, the official evening part ended and we were waiting for the first day of AGM plenaries. The first day started with an intense schedule of plenaries starting at 8:30 in the morning. We had the reports from every ESN International Board member, the secretariat, presentation about Erasmus+ App, partners: ‘myLike’, ‘Ryanair’, ‘Uniplaces’, ‘Hostelling International’ and ‘Accenture’ presentations. The highlight of the event was the President’s and Vice-President’s candidates’ speeches and everyone had an opportunity to ask them questions in ‘Questions and Answers’ rounds. The most important topic was the Erasmus+ App. It has been funded from the Erasmus+ 30 years Anniversary funds. This application gives students structured information on the existing Erasmus+ programmes under KA1, top-tips for living away from home (general, country specific and city specific), interactive checklists with a step-by-step guide throughout a mobility period, integration with the Online Learning Agreement, a feed for news and local events and activities, as well as an integration with the Online Linguistic Support Platform. In between the plenaries of the first day, we had the mobility fair where all of the ESN sections could introduce their Universities, their countries and partner,s and not only AGM participants were able to attend this part, but it was open to public. On Friday evening we traditionally had a flag parade where all of the delegations were dressed up in their country colours, had dozens of flags, balloons and other attributes. After the flag parade, which finished next to the gates of Berlin, all the participants moved to the so-called ‘Eurodinner’, where we had a chance to try out different national cuisine foods. The second day (Saturday) was the most intense. We had plenaries with different kinds of presentations and reports, which lasted for 12 hours in total. We had a report of the Treasurer, Budget of 2017, ESN Three Year Strategy, International Action Plan, ESNreview reports, Communication Manager’s, Web Projects Administrator’s, Treasurer’s candidacies and question rounds, proposal to have a “Code of Conduct”, membership fee raising. After long and hard discussions, the section delegates voted and the membership fee was raised (ESN LSMU will have to pay 100 euros in 2018 instead of 60). The main reason for that was that the ESN AISLB does not have a constant budget or any safety fund and most of the budget was achieved through writing projects only. Another thing that was presented on Saturday was the candidacy to organize the AGM 2018 – ESN Spain was elected on Sunday as the next OC: AGM Costa Brava 2018. On Sunday, the last day of the AGM, we had a lot of committees’ presentations: ICE, NEC, Eduk8, FiCo, ComCom, IT, SocialErasmus, Movin’ Europe and more. Besides all of the presentation we also had two workshops during the day. It had different kinds of topics: non-formal education and teambuilding section, public relations, international projects and how to improve soft skills. In the evening we traditionally had the Gala Dinner together with the StarAwards. This year ESN LSMU was really lucky and got a reward in a category buddySTAR for an event ‘Secret Santa’. ‘Secret Santa’ is an event that we organised for two years in December before Christmas. Erasmus+ students, LSMU students, mentors or ESN’ers surprised their friends with gifts which were distributed during the classes by ESN LSMU Santa. Overall the event was really interesting and there was a lot of voting action. We elected the new International Board, next AGM’s organisers, got to listen to different kinds of reports and we got a chance to meet AGM Germany and some ESNcard partners. Besides, we had the opportunity to represent our SECTION, our UNIVERSITY and whole ESN LITHUANIA!! We are really proud!